Respond to the Walmart gender discrimination decision today! Posted on June 21, 2011 12:12 AM by Lana N.
Today, the US Supreme Court released its decision on the landmark class-action gender discrimination case against WalMart. Ten years ago, 6 women brought a discrimination case against WalMart, alleging that the company had systematically denied them promotions and wage increases based on prejudice against their gender. Thousands more joined the lawsuit once they discovered that someone was bringing a case against treatment that resembled what they had received.Unfortunately, the corporate majority on the Supreme Court dismissed the case, not only barring the women from filing the lawsuit as a major class-action case, but also making it more difficult in the future for any large group of people aggrieved by a massive corporation from gaining restitution.Class action lawsuits make it easier for people harmed by a large corporation, often by employment practices like racial or gender discrimination, to pool enough resources to stand a chance against a well-heeled team of corporate lawyers. 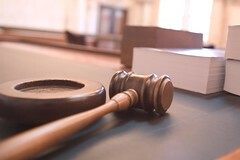 Unbelievably, the 5-4 majority decided that the women, who provided a vast array of statistical and anecdotal information to support the case that they were discriminated against precisely because they were women, could not be considered a "class" for the purposes of bundling their lawsuits together into a single case.Now WalMart and large corporations will have a much easier time dissuading and discouraging lawsuits, whatever their merit, because of the high bar set against people joining together to press a legal case.Tomorrow, June 21, the United Food and Commercial Workers, the National Organization of Women and the National Women's Law Center, outraged by WalMart's well-documented poor treatment of women, are sponsoring rallies in Boston, New York, San Francisco, Washington DC, and Philadelphia. If you are in the vicinity of any of those rallies, you are encouraged to show your support.The Supreme Court did not rule whether or not Walmart discriminated against any of the women who joined the case, merely that they lacked the ability to join the class action lawsuit. The women who originally filed the lawsuit plan to continue their battle in court for fair treatment. Posted on June 20, 2011 11:04 AM by Lana N.
As we mentioned last week, a grassroots coalition planned to push Sen. Claire McCaskill (D-MO) to oppose cuts to essential services while the economy remained on a lifeline. Above expectations, a crowd of over 200 gathered in front of McCaskill's St. Louis office, chanting, waving signs, and applauding the honks of approving drivers who passed by. All the while, they exhorted McCaskill to make sure that Social Security, Medicare, and Medicaid would be safe from any budget-cutting knife.At the same time, representatives from the coalition spoke with Sen. McCaskill inside her office. The anti-austerity coalition included Missouri Jobs with Justice, American Federation of Government Employees (AFGE), Missouri Health Care for All, Missouri Pro-Vote, The Missouri Budget Project, and Metropolitan Congregations United. After a lengthy meeting, They reported back that not only had McCaskill agreed to oppose any cuts, she was actually energized by the crowd outside.As Rabbi Susan Talve passionately states in the video, filmed shortly after the meeting with McCaskill, it's not enough for progressives to meekly ask their leaders to do the right thing, or to quietly hope for the best and inevitably be disappointed.Rabbi Talve argued that in order to turn back the well-funded forces who have spent decades unraveling the promise of the American Dream, progressives have to be loud and proud and fight back with courage and intelligence and heart. She equated the fight to the Old Testament story of Joshua and Caleb, who saw the Promised Land and had the vision to know that despite the overwhelming obstacles that apparently faced them, the people of Israel could reach the Promised Land if they showed courage and used their intelligence.Getting McCaskill to oppose cuts to Social Security, Medicare, and Medicaid was a big first step for progressives in Missouri. She had co-authored a bill that would target those three programs to major cuts in order to rein in government spending, and she had previously declared "everything is on the table" with regard to cuts. Posted on June 20, 2011 8:24 AM by Lana N.
How many times have we heard this story? A woman falls behind on her house payments due to a medical emergency that forces time off from work and racks up huge medical bills. The bank moves in on the house, refusing to make any reasonable modifications on the loan, and forces the woman from her home.That's what happened to South Berkeley, CA resident Tanya Dennis. Dennis, a former vice principal at local Castlemont High School, fell behind on her payments to Wells Fargo after major surgery on her back kept her out of work and deep in debt. Even with decades of making payments, the bank foreclosed on her and called in the sheriff to evict her, putting her out on the street with few possessions.Ordinarily, the story fades out here, with the erstwhile homeowner picking up the pieces somewhere else. But Tanya Dennis didn't go that route. Instead, she called a locksmith, changed the locks and opened the door back into her own home. Stripped bare when the lender sold everything left in the house after eviction, including carpeting, Dennis still has her home back, pending the outcome of a federal lawsuit against Wells Fargo, who securitized the home loan and can't even prove that it owns the note.Ironically, Wells Fargo received around $25 billion in direct cash from the federal government as part of the bank bailout along with preferential rule changes that allow it to gobble up other banks, also worth around $25 billion. The bailout money was supposed to allow Wells Fargo to stay afloat and to ease the pain of homeowners facing the twin jobs and foreclosure crises. Instead, it allowed Wells Fargo to purchase other banks and financial firms, including troubled Wachovia.It's not only Dennis that would get a happy ending if she got her home back with a loan modification allowing her to pay a reasonable mortgage payment tied to the actual value of the home. People living on her street would have another neighbor to watch out for crime, to pick up litter in the street and in the yard, and to ultimately help keep their own home value up. And Wells Fargo themselves would benefit. They would keep a steady income from mortgage payments on the home, even if reduced, rather than letting the house sit empty, weeds growing in the yard, while they try to sell the foreclosure in a severely depressed housing market.If you want to take action and help Tanya, click here to send a letter to Wells Fargo from our friends at the Alliance of Californians for Community Improvement and the Home Defenders League. Posted on June 20, 2011 8:20 AM by Lana N.
Inspired by the example of "Walkerville", where citizens opposed to Gov. Scott Walker's layoffs and cuts to essential services maintain a tent "city" on Capitol Square in Madison, WI, opponents of New York Mayor Michael Bloomberg's austerity budget have set up "Bloombergville" outside City Hall in Manhattan.Bloomberg's budget lays off 5,400 city workers and reduces city jobs further by refusing to hire for positions left empty by attrition. It shutters 20 fire companies and sharply cuts library funding, cuts funding for emergency "311" dispatchers, and trims park and health services employees. Demand for all of these city functions have not dropped in the last year, and lost jobs and reduced funding will slow the overall city economy.Bloomberg claims that the cuts are absolutely necessary to balance the city budget, but critics have pointed out that the city faces such a sharp deficit now because the city government will roll over $3.6 billion in funds from this year into the next fiscal year. They also show that millions of dollars in revenue go untapped every year because the city fails to collect the proper taxes from rents on billboards, cell phone towers, and once tax exempt property now under a new owner. The city government also has a habit of extending tax breaks, ballooning from under $1 billion ten years ago to over $2.6 billion this year.In this climate, opponents are willing to sleep in tents and sleeping bags on the sidewalk for as long as it takes to raise awareness of the harsh effects of Bloomberg's austerity package.